Today i am going to do a website review of a site that sells healthy and delicious snacks . Its Snalthy.Com . 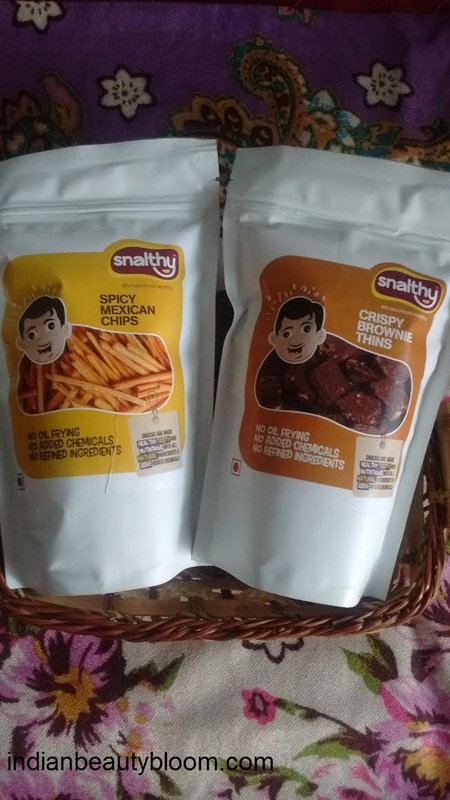 Snalthy.com is an online store which sells healthy snacks . They have wide range of snacks which are made from natural ingredients and does not contain any added chemicals , colors , preservatives etc . 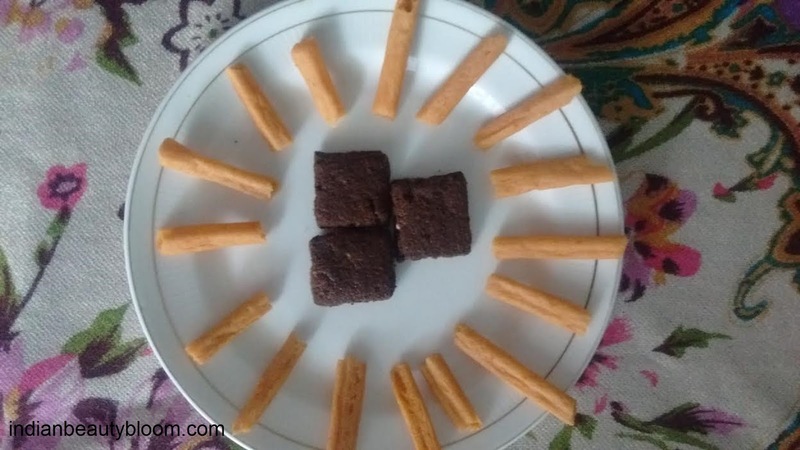 Their Product range includes Cookies ,Rusk , Baked chips , sweets , fruit stick , bread stick , dry fruits etc . They have wide range of snacks for kids like for Toddlers , Pre- Schoolers , School Snacks . Which includes baked chips , brownies , cookies, rusk etc . They have Egg Free snacks also . One sweet and one salty snack . Both were too delicious , I loved its taste . Shelf life — 2 months from date of manufacture . 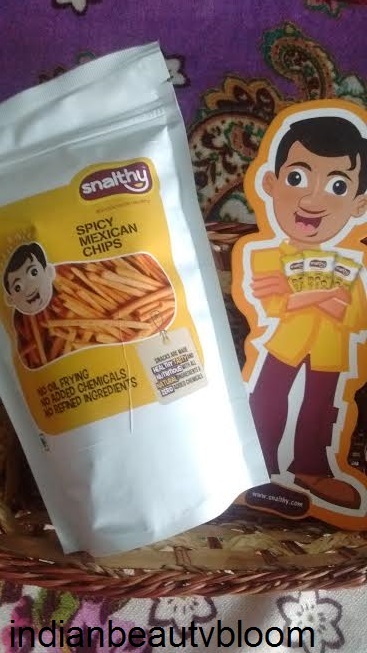 This product is made from potato , rice , butter , tomato , salt and red chilli. Shelf Life –2 months from date of manufacture . 1. They do not add any additional preservative , color , fat to their products . 2.All food items are hygienically packed . 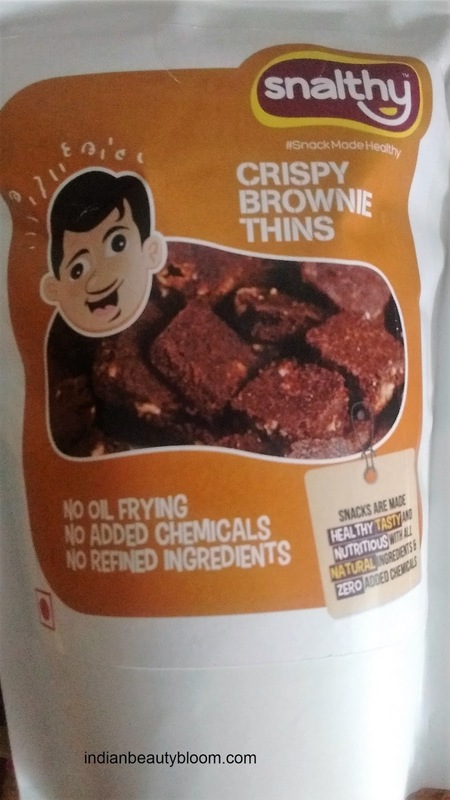 3.They do not use oil for frying , they bake their snacks . 4.They do not use white flour ( maida ) but use wheat flour . 5.They do not use Sugar but use natural Sweetners like cane sugar . 6. They do not use baking powder , baking soda or emulsifier . 7.They prepare their snacks by baking , roasting and toasting . 8.They have Spinach and Raagi cookies in their range , so a good way to make kids eat healthy food . So i must say these snacks are not only delicious but also healthy . Healthy snacking is very important as it helps to maintain blood sugar level normal , increases the energy level for a long period of time . Also helps to maintain weight as if one is eating healthy snacks then one will eat less during meal times . They ship every where in India with free home delivery .